Christmas is a wonderful time of the year to spoil loved ones and let them know how special they are to you. Whether you are looking for gifts for partners, children, friends or family, the Luxgifts Christmas Gift Guide will give you all the inspiration you need to help you find that extra special gift. On behalf of the Luxgifts team I would like to wish all our readers a very Merry Christmas and a fantastic 2016. If you are not sure what to buy your little one for Christmas, Hape may have the solution. Hape is the world’s leading sustainable toy manufacturer that combines education, innovation and fun to bring children all they have ever wanted. Hape toys are made from natural materials, water-based paints and have strict quality and safety standards that make it also a brand parents can trust. Hape’s Take Along Activity Box is one example of a toy that will be loved by both children and their parents. This 5-sided activity box has moving gears, balls, blocks, and a maze, plus colours, motion, and a mirror to reflect your child’s smile. This fun-filled box is packed with educational benefits whilst helping develop fine motor and sensory skills. This fabulous toy is suitable for children aged 10 months+ and its RRP is £29.99. Another great Hape toy that will be adored on Christmas morning is the Aqua Retro Kitchen. This brand new beautifully designed retro kitchen will bring charm to any play corner and will bring endless hours of role-play fun. It comes with a wooden pan and cooking instruments. It is suitable for children aged 3 year+ and the RRP is £69.99. To see the full fabulous range of Hape toys visit www.marbel.co.uk. All the toys are distributed exclusively by Marbel and are available via www.amazon.co.uk. datAshur Personal is an extremely secure, easy to use and affordable USB Flash Drive that is a fantastic gift for anyone who stores data on a USB drive. The datAshur Personal secures data you don’t want others to see, from family photos to files of a more sensitive nature. It guarantees 100% protection of your data so you will never have to worry about your personal or company files falling into the wrong hands. This flash drive incorporates a rechargeable battery allowing you to enter a 7-15 digit PIN onto the on-board keypad before connecting the drive to a USB port. All data that is transferred to datAshur Personal is encrypted in real-time with the built in hardware encryption engine and is protected from unauthorised access even if the datAshur Personal USB is lost or stolen. datAshur Personal automatically locks when unplugged from the host computer or power to the USB port is turned on. datAshur Personal does not require any software or drivers to be installed and is compatible with Windows, Mac, Linux, Chrome, Android, Thin Clients and Embedded Systems. This flash drive is a brilliant gift for anyone who uses a USB drive as they will know all their data is secure. The RRP for the 8GB is £29.00, for the 16GB is £39.00 and for the 32GB is £59.00. 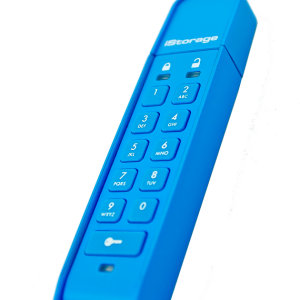 They are available from www.istorage-uk.com. Jockey have some lovely gifts for men this Christmas. Jockey sell premium, top quality men’s swimwear, loungewear and underwear at affordable prices. Whether you have a sporty man in your life, a Mr. Sensible or someone that dares to flash a bit of colour, you will find a perfect luxury yet affordable gift. The Jockey Nightwear range have some fantastic pieces for men. The Jockey Long Pyjama Mix evokes a simple but stylish image for the modern man. The material mix provides the wearer with all-round comfort for any occasion. It is 100% cotton, has a long sleeved round neck top and checked pyjama bottoms with draw strings. Any modern man would love to receive this pair of comfortable pyjamas. The RRP is from £46.00. Jockey also have a brilliant range of underwear that would make a wonderful gift this Christmas. Whether the man in your life wants briefs, trunks, midway briefs or boxer shorts, you will definitely find the perfect pair for him. The RRP for underwear starts from £7.50. To see the full range of Jockey products visit www.jockey.co.uk. Add a little bit of luxury to your Christmas with the brand new Christmas collection from the premium Irish chocolatier; Lily O’Brien’s. Lily O’Brien’s chocolates are of the finest quality and are crafted with both care and passion. Lily O’Brien’s have created some extra special gifts that are perfect for the festive season. Each gift is presented in a stunning seasonal packaging. The Petit Indulgence Keepsake Star is a beautiful gift as it has a lovely selection of milk, dark and white classic Lily O’Brien’s favourites that are presented in a star-shaped keepsake box. The RRP is £5.50. The Lily O’Brien’s Milk Chocolate Truffle Cracker is another wonderful gift that will add a touch of sparkle to the dinner table. This cracker-shaped box is full of delicious luxurious milk chocolate truffles. The RRP is £4.00. 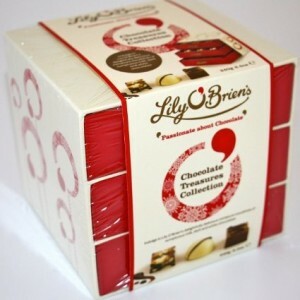 For something that little extra special this Christmas is the Lily O’Brien’s Chocolate Treasures Collection. This stylish keepsake treasure chest has an assortment of sumptuous milk, dark and white chocolates. The RRP is £10.00. Lily O’Brien’s have a wonderful range of Christmas gifts that anyone would love to receive. To see the full range visit www.lilyobriens.com. 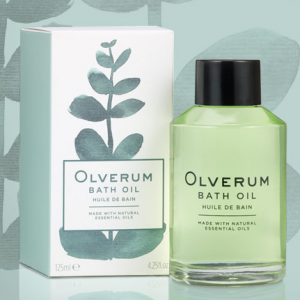 Olverum bath oil is the gorgeous treat for the festive season, as it is the perfect way to unwind and relax. It is a highly concentrated, therapeutic bath oil which contains 10 pure essential oils that have been carefully selected for their individual therapeutic properties, as well as their ability to work synergistically to be even more effective. The unique blend of 10 essential oils: Eucalyptus, Lavender, Juniper, Lavandin, Lemon Peel, Siberian Fir Needle, Exotic Verbena, Lime, Geranium and Rosemary create a beautiful, calming bath oil that will transform your bathroom into your own blissful, aromatic sanctuary. Using Olverum in the bath is the perfect way to relieve stress, revive aching muscles and joints, rebalance dry skin or simply just help you to relax and enjoy a little bit of ‘me time’. Olverum bath oil is the perfect gift for anyone who loves to relax and unwind in a warm bath. It could also be a little Christmas treat for yourself if you feel like you need some ‘me time’ during the hectic festive season. The RRP for 125ml (enough for 25 baths) is £23.50. The RRP for 200ml (enough for 40 baths) is £36.95. Olverum is available from www.olverum.com. It is also available from Harvey Nichols, Fenwick and House of Fraser Online. Gettingpersonal.co.uk specialise in personalised gifts and have a huge range of ideas for Christmas for the whole family. A personalised gift is a fantastic way of showing someone how much you care and gettingpersonal.co.uk have a wonderful range of personalised gifts that will make Christmas that little bit extra special. 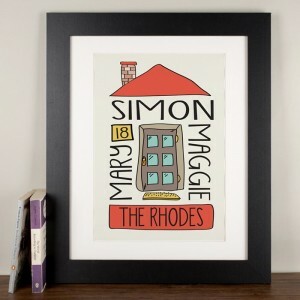 A fabulous gift for a family is the Personalised Family House print. This beautiful print is a lovely visual representation of a family’s nest. It is made up of the recipient’s surname, each individual’s name in the house, and the house number, as well as an illustrated roof and front door. The off white print boasts a terracotta roof and foundation, with a red brick chimney. The front panelled door is grey with a yellow door mat in front of it. The names are printed in a playful black font and you can enter the door number to appear at the top right in a golden box. The print is available in two sizes; standard A3 frame and a large frame with mount. You can choose a white or black frame. The RRP for this fantastic gift is from £29.99. 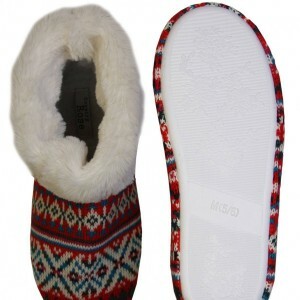 Another lovely gift from gettingpersonal.co.uk are the Cozy Boots™ Cream Microwavable Slipper Boots. These boots are a lovely gift idea for someone who loves their home comforts. These boots are extremely soft and furry and are gently scented with relaxing lavender. An added bonus is that they can be put into the microwave so they are nice and warm when you put them on. The Cozy Boots are one size (fits UK shoe size 3-7). The RRP is £14.99. To see the full range of fabulous gifts visit www.gettingpersonal.co.uk. This festive season, Whittard of Chelsea has an abundance of decadent treats to suit all tastes. Whether you are looking for gifts for coffee lovers, tea friends or for those who like the sweet things in life, Whittard has a wonderful range of gorgeous gift sets and stocking fillers. Whittard’s kilners are the perfect stocking filler this Christmas. The Luxury Hot Chocolate kilner is a wonderful treat to indulge in on a cold winter’s night. This rich hot chocolate is a real winter warmer. The Christmas Tea kilner is another fantastic gift. This wonderfully flavoured black leaf tea is a must this Christmas and its taste can be savoured by fireside tales and midnight feats. The combination of orange peel, cloves and sweet pieces of vanilla is absolutely gorgeous. The RRP for the kilners is £8.00. Whittard’s wonderful Pao Infuser Mugs make enjoying their leaf teas extremely easy. The Pao Infuser Mugs are available in red, grey, teal and purple. Each mug is crafted from fine quality high-fired porcelain with a super-sleek finish. Each mug also comes with its very own removable infuser and a lid which doubles up both as a coaster and a tray for the filter. The RRP for the Pao Infuser Mugs is £15.00. 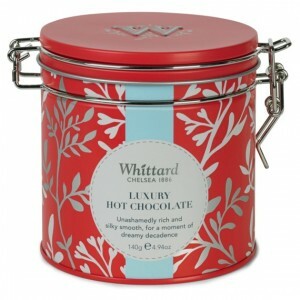 Whittard have a fantastic range of gifts for Christmas. To see the full range visit www.whittard.co.uk. Rainbow Designs have a wonderful selection of beautiful soft and wooden toys that would make ideal Christmas presents for babies and children. 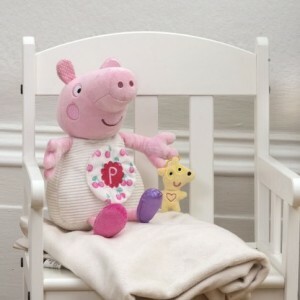 They have many fantastic gifts featuring the much loved character, Peppa Pig. One fabulous Peppa Pig toy is the Peppa Pig for Baby Activity Toy which is packed with activities to stimulate babies’ senses and engage their imagination. You can press Peppa’s right hand to hear her oink and press her left hand to hear music from the Peppa Pig TV Show. If you lift the flap on Peppa’s tummy a peek a boo mirror is revealed. You can also play with her feet and ears to find the different textures. Peppa comes with her favourite toy “Teddy” who has a squeaker inside. This toy is also available is the Large Activity George Pig. The RRP is £19.99 and it is available from Tesco, Boots, Mothercare, Sainsbury’s, Argos, www.amazon.co.uk, Waitrose, Waterstones and all good independents. Rainbow Designs also have a lovely range of The Very Hungry Caterpillar™ gifts that any child will adore. The Very Hungry Caterpillar Wooden Counting Caterpillar is a gorgeous gift that encourages toddlers to learn their 123s. It is a classic counting toy featuring The Very Hungry Caterpillar™. This wonderful wooden toy is a giant caterpillar, complete with purple felt ears, each part of his body features a number from one to ten on one side and spells out ‘Caterpillar’ on the other. This is a fun yet educational toy that is designed for children aged 18 months upwards. The RRP is £24.99 and it is available from www.amazon.co.uk, Argos and all good independents. Rainbow Designs also have a wide range of gifts featuring other well-known characters such as Shaun the Sheep, Paddington Bear and Peter Rabbit. To view the full range of gifts visit www.rainbowdesigns.co.uk. Wentworth puzzles bring a little bit of tradition back to Christmas presents. They have a gorgeous range of wooden puzzles that will be adored by any child. 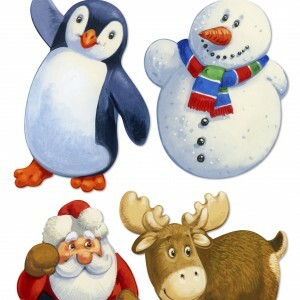 The Christmas Friends Jigsaw Puzzle designed by John Francis are cute little puzzles perfect for children this Christmas. Little ones are sure to enjoy putting together these lovely winter animal jigsaws this festive season. There are four 25 piece Christmas character puzzles all mixed up in one bag and box. These high quality, traditional, wooden jigsaw puzzles can be done time and again and their especially themed whimsy pieces make it a treat to complete. The RRP is £25.95. Wentworth Puzzles also have another puzzle design that children will love. The Fairies Alphabet Jigsaw is a brightly coloured children’s initial shaped jigsaw. It is available in every letter of the alphabet so children will adore having this puzzle in their own first name initial! It is also available in a Dinosaur theme. The RRP is £14.95. Wentworth puzzles have a wide range of puzzles for adults as well as for children. To see their complete range visit www.wentworthpuzzles.com. As more and more adults are enjoying colouring intricate patterns and designs, Michael O’Mara colouring books for grown-ups would be ideal gifts this Christmas. Colouring for grown-ups is an exciting new craze that cultivates your inner calm and helps you destress. Michael O’Mara books have a wonderful range of colouring books for grown-ups. Since the release of The Creative Colouring Book for Grown-Ups, in 2012, Michael O’Mara Books has been at the forefront of the adult colouring trend and have released many more colouring books for adults. The Gold Collection is a luxurious collection of intricate patterns to colour, beautifully packaged with a touch of gold enhancing the wonderful designs throughout. It has a sophisticated, lavish gold-foiled cover and is in a convenient new format that makes this book the perfect gift for anyone who wants to colour. The RRP for this book is £7.99. Michael O’Mara books also have a new range of Christmas colouring books that would make ideal gifts this year. The Creative Christmas book is the perfect way to fill cold winter evenings with the Christmas spirit, and is a creative way to unwind and de-stress over the holiday period. This book has a gorgeous foil cover and features flaps with inspiration for Christmas wrapping. The RRP for this book is £7.99 and the publication date is 1st December 2015. 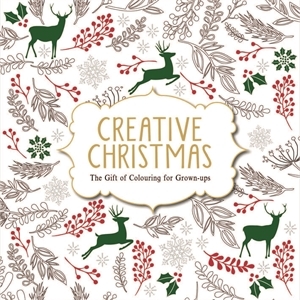 Another new Christmas colouring book is Christmas Patterns. This new seasonal addition is bound to fill anyone with festive cheer. The magic of Christmas is captured in this gorgeous colouring book which is brimming with wonderfully festive images, patterns and snowy scenes. The RRP for this book is £9.99 and the publication date is 1st December 2015. All these wonderful colouring books for adults are available from www.mombooks.com. An extra special gift from Autoglym is The Collection Perfect Bodywork, Wheels and Interiors. This collection contains nine carefully chosen products and accessories to help clean, polish and protect your car bodywork, wheels and interior. This comprehensive set combines the contents of several of Autoglym’s smaller kits plus more. It contains 325ml Bodywork Shampoo Conditioner , 325ml Super Resin Polish, 325ml Extra Gloss Protection, 500ml Clean Wheels, 500ml Instant Tyre Dressing, 300ml Wheel Protector, 500ml Interior Shampoo, 500ml Fast Glass, 500ml Vinyl & Rubber Care, a sponge, a Hi-Tech Finishing Cloth, Aqua Dry and a Car Care Guide. The RRP for this wonderful gift is £63.00. Autoglym have the perfect Christmas gifts for car lovers. To see the full range of Autoglym gifts visit www.autoglym.com. Lloyds pharmacy has some wonderful gifts for Christmas that any loved one will adore. Whether you are looking for grooming gifts, body care gifts or pampering gifts, Lloyds pharmacy is worth a visit. 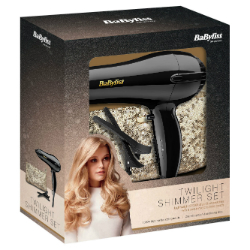 A perfect gift for a special woman is the Babyliss Twilight Shimmer hairdryer. This gorgeous set features a lightweight and compact hairdryer with the drying performance of a regular sized hairdryer. It includes a concentrator nozzle and 2 sectioning clips to make styling easy. The additional pretty sequinned pouch is also perfect for cosmetics. This hairdryer is 2000W for fast drying results and has 2 heat/speed settings plus a cool shot. The RRP is £19.99. Lloyds pharmacy also have some fantastic stocking fillers. For little girls the Frozen band set, priced at £9.99, is ideal. Perfect for Minions fans is the Despicable me Jumbo art set, priced at £7.00 and for anyone who needs a little pampering, the Bayliss and Harding Slipper set is gorgeous. Llyods pharmacy have a wide range of great gifts for Christmas that any loved one will be thrilled to receive. To see the full range visit www.lloydspharmacy.com. Photo gifts are very popular over the festive season as they are extremely personalised and have great sentimental value. If you are looking for a different, unique photo gift for a loved one then Albelli is definitely worth a look. Albelli are Europe’s number one photo printing specialist and offer a product that is completely unique to them. 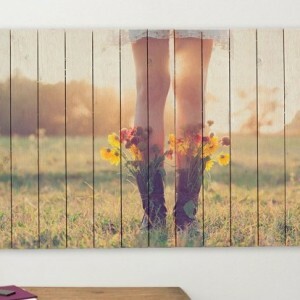 This fabulous product is a Photo on Wood. These Photo on Wood gifts make for a stunning, one-of-a-kind piece which can really become the focal point of any home and makes an exceptional feature. The photos are printed on high quality pinewood planks and are sourced from sustainable forests. The wood is whitewashed which brings the pure colours of the photos to life and softens the knots and grains in the wood, while still maintaining the natural, rustic wood look. The photo is also UV resistant so it can be hung indoors or outdoors under a roof. You can choose between a natural or planed wood finish. The first one has a matte and rough look, making it ideal for photos of landscapes and nature. The planed wood finish, removes the biggest imperfections and grains on the surface. This gives more attention to your photo while maintaining the natural wood look, making it ideal for portraits or photos with more details. You can also choose between vertical and horizontal planks. This unique gift also has a free hanging system. It has a hole at the top of the back with a plastic plug in it with a serrated edge. This hanging system is completely invisible from the front and doesn’t create any holes in your print. Prices for this wonderful unique gift start from £34.95 and it is available from www.albelli.co.uk. August International have some fantastic digital and audio gifts for Christmas this year. Their compact Portable Mini Bluetooth Stereo System and their Bluetooth Wireless Earphones are the perfect gifts for anyone who loves listening to music. The Mini Bluetooth Stereo System is full of fantastic features including wireless connectivity so you can play music through smartphones, iPhones, Pads and other Bluetooth enabled devices. You can also use the 12 pre-set FM Radio channels to tune into your favourite stations with ease. It also features a brilliant radio alarm and gives you the option of playing your tunes from any other device thanks to the SD Reader, USB port and AUX In. This SE20 Bluetooth Boombox has a fun retro design and is available in 4 vibrant colours. Its compact lightweight design fits into a small space handbag or rucksack. This makes it ideal for family use, children’s bedrooms or holidays. 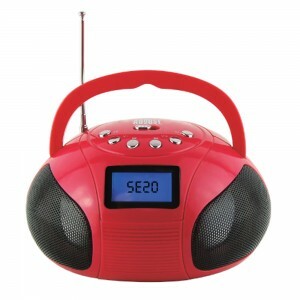 The RRP for the mini Bluetooth Stereo System is £34.96 and is available from www.amazon.co.uk. August International’s Bluetooth Wireless Earphones EP610 are another great Christmas gift. These headphones are perfect for active people as they have a lightweight extra grip. These EP610 earbuds come in 3 sizes with 4 stabilizers to help users adjust them to their ear shape. This is a great feature as no two ears are the same. The in-ear controls also allow you to answer phone calls and thanks to the more energy efficient Bluetooth v4.0 this product achieves a 5 hour battery life. The RRP for the August Bluetooth Wireless Earphones EP610 is £27.45 and are available from www.amazon.co.uk. If your child loves music then the new parent friendly volume limiter Stereo Kiddiez Headphones from Groov-e would be the ideal Christmas gift. Groov-e are a headphone, audio and smartphone accessory brand and the Kiddiez Volume Limiter Headphones are their latest innovation. These headphones combine a great value children’s audio experience with safety features to protect their hearing. The Kiddiez headphones are perfect for children as they are fun, functional, versatile and lightweight. They are available in fun vibrant colours; violet/pink & blue/green, with soft ear pads that comfort a child’s ear and are stylish and fashionable enough to wear on the go. They work well with all Audio/Video devices including MP3, SmartPhone, Tablet, PC and Laptop. 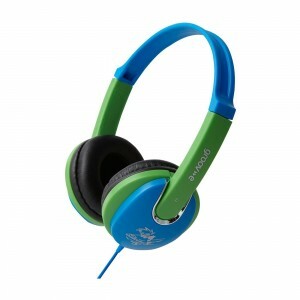 The RRP for the Groov-e Kiddiez noise-limiting headphones are £12.99 and are available from www.amazon.co.uk. Fudge Kitchen have some lovely treats for Christmas from delicious stocking fillers to gorgeous hampers. All Fudge Kitchen products are handmade, hand decorated, gluten free and made with all natural ingredients. This year sees the launch of two new seasonal lines; the Sharing Bar Christmas trio and a miniature teaser set of delicious Liquid Fudge in four flavours. Fudge kitchen have some lovely gifts for those that love fudge. Especially for her are their Mug of Fudge hampers. These are gift packaged in a luxurious, textured, black hamper and are available in three delicious flavours. The RRP for each gift is £18.00 plus P&P. For him, is the Christmas Favourites gift. This is a sleek, seasonal box packed with 20 cubes of rich, creamy fudge, picking out some of the great flavours of Christmas, including Figgy Pudding, Spiced Cookie, Chocolate Fruit & Nut, Gingerbread and Sea Salted Caramel. The RRP for this lovely gift is £22.00 plus P&P. A perfect gift for children is the Kids in the Kitchen. This kit includes full instruction booklets, two spatulas, a piping bag, a sugar thermometer, and the gluten free ingredients to make three kid-friendly flavours, plus cookie crumbles, mini marshmallows, mini chocolate beans, popping candy and white chocolate for some lavish decorating. Just add whipping cream or soya milk to create Rocky Road, Double Chocolate Explosion and Vanilla Rainbow. The RRP for this fantastic gift is £22.00 plus P&P. 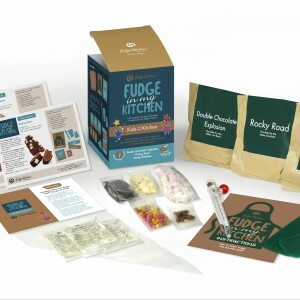 All Fudge Kitchen products are available from www.fudgekitchen.co.uk. The last order date for UK delivery before Christmas is 12pm on 22nd December 2015. The last order date for international shipping to arrive before Christmas is 16th December 2015. LeapFrog have some fantastic gifts for children this Christmas. The LeapFrog Word Whammer is the ideal educational gift for 4-6 year olds. This fabulous toy includes three action packed games that that adjust to your child’s skill level and help them develop word-building skills. One of the great features about this toy is that children need to spin, tap and twist when playing the games, which can help embed their learning. One of the games included in this toy is that the children need to match uppercase and lowercase letters. They do this by turning the handle to bump your car into the correct answer. The second game helps build words. Children need to thrust the handle to blast the rocket into letters to spell 100+ words. The third game requires children to quickly twist the handle to spin the teacup into the correct answer. All three games help children build the skills needed for school in a fun and active way. The RRP for the Word Whammer is £14.99 and it is available from www.leapfrogstore.co.uk and all UK major retailers. Another fantastic toy from LeapFrog is the Number Loving Oven. This toy is suitable for 2-5 year olds and helps them to learn their numbers. 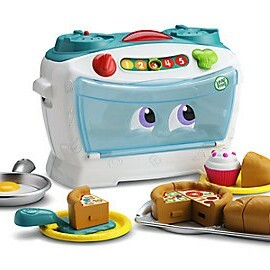 The set includes an interactive oven, 4 pizza slices, 3 pieces of bread, 2 cupcakes, 1 fried egg, 1 skillet, 1 spatula, 1 baking tray and plates. There are 30 + phrases and songs that children can listen to and learn. The singing oven also helps learn counting, sharing and parts of a whole. The RRP is £19.99 and it is available from www.leapfrogstore.co.uk and all UK major retailers. The UK’s leading games brand Drumond Park, has launched some new games that would make brilliant Christmas presents for both children and adults. These games are perfect for gatherings with family and friends this festive season and are a great way to get everyone playing together. 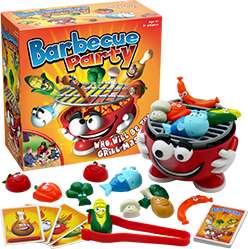 The Drumond Park game, Barbecue Party is a fantastic game for children aged 4+. You can bring back Summer with this delightful new game of anticipation, nerve and dexterity. Players remove or place different ‘foods’ on the barbecue grill, depending on the card they have picked. But when the grill is inadvertently shaken or the load gets too heavy, the food dramatically catapults into the air! Children just love to see the food flying up in the air and you’ll hear lots of laughter when they play this game. The RRP is £19.99 and is available from major retailers including Argos, Toys R Us and John Lewis. To see the full list of stockists visit www.drumondpark.com. New Gee Whizz is a wonderful magic set for children aged 5+. This is jam packed with a fabulous array of basic tricks and magical activities that are perfect for little ones to master – while stimulating their natural curiosity for discovery and the world around them. Complete with clear, comprehensive, pictorial instructions, this brilliant compendium is truly one of a kind. The RRP is £19.99 and is available from major retailers including Argos, Toys R Us and John Lewis. To see the full list of stockists visit www.drumondpark.com. A brilliant refreshed game for the whole family is All Star Family Fortunes. This comes complete with 300 brand new ‘Our Survey Says’ questions. In the box are authentically scaled down versions of all the props from the programme, including the invincible electronic ‘Uh-Uh’ buzzer. Battle it out in the Single Money, Double Money and Big Money rounds and do your best to gain Bonus Points. This game is for aged 8 to adult. The RRP is £19.99 and it is available from major retailers including Argos, Toys R Us and John Lewis. To see the full list of stockists visit www.drumondpark.com. Green People’s limited edition range of gifts that support The Woodland Trust are perfect gifts for Christmas. By choosing this organic gift you are not only helping to support UK woodland and the animals which call it their home, but you are also being kind to your skin as they are made only of fairly traded, organic and natural ingredients. The FACIAL CARE COLLECTION- these are naturally restorative skin care products. The gift includes a beauty-boosting moisturiser, a cream cleanser and an exfoliator that are organically blended with the divine essence of Bergamot & Sandalwood. The RRP is £15.95. The BODY CARE COLLECTION- This includes naturally nourishing body care. You can envelop the skin with this pampering body wash and lotion blended with warming Ginger and uplifting Lemongrass. The RRP is £19.95. The HAND CARE COLLECTION- This gift set includes beautifully natural and nourishing hand creams. Let your mood choose from sweet & warming Red Mandarin or soothing & restorative Rose Geranium. The RRP is £15.95. The MEN’S COLLECTION- This gift includes refreshingly natural hair & body washes. You can drench the skin with invigorating Mint & Eucalyptus or uplifting Orange & Clove. The RRP is £19.95. Green People’s wonderful range of gifts will be adored by anyone who takes care of themselves and their skin. A donation will also be made to The Woodland Trust each time a product in this limited edition range is bought, so with every gift bought, you will also b helping the environment. These wonderful Green People collections are available at www.greenpeople.co.uk and all good health stores, Ocado and selected Waitrose and John Lewis stores. Launching for Christmas 2015, the award winning chocolatier Lir has developed some new delicious flavours to feature alongside the original milk, white and dark chocolate Baileys® truffles. These gorgeous new Baileys® truffle and flavour infusions are set to be a festive hit this year. The new flavours include Popping Candy, Liquorice and Crispy Feuilletine. The Baileys® Glittering Collection Box is the perfect item for any host this Christmas. This is an ideal gift as each mouth-watering truffle consists of its own unique artwork to match the five unique flavours including, Baileys® Original, Coffee, Liquorice, Popping Candy and Hazelnut. The truffles are presented in a beautiful glittering box. This collection is available at major retailers and the RRP is £9.00. Treat your loved ones to a Baileys® Shimmering Star this Christmas. The intricately designed festive packaging filled with Baileys® -infused milk chocolate truffles, makes this the perfect stocking filler or party gift for friends and family. This is available at Tesco and the RRP is £5.00. This gorgeous golden Christmas tree is adorned with golden sequins and stands 32cm high. It contains 450g of deliciously smooth milk chocolate truffles with a creamy Baileys® Original Irish Cream liqueur flavoured filling. This is available from all major retailers, including Debenhams. The RRP is £22.00. Perfect for the festive season are the new Magnum contemporary range of Magnum chocolates. The new collection offers decadent treats as well as beautifully packaged gifts for someone special this Christmas. The perfect Magnum gift this Christmas is the Magnum Chocolate Collection. This is an elegant collection of delicious, luxury Magnum milk, dark and white chocolates that have been carefully crafted to create delicious flavour combinations, such as salted caramel and praline crunch. The RRP for the 180g box is £6.00 and the RRP for the 280g box is £12.00. Also available in the new Magnum range are the Magnum Chocolate Thins. These are deliciously smooth thins that have the distinctive Magnum crack, as well as the signature Magnum ‘M’ stamp. These chocolates are available in three flavours; Mint, Espresso and Classic. The RRP is £5.00. Ideal for stocking fillers are the wonderful Magnum Signature Chocolate Bars. These premium chocolate bars features the signature Magnum ‘M’ in the centre and are available in three delicious flavours; Smooth Magnum Classic milk chocolate, Single origin dark Magnum chocolate with cocoa nibs and Creamy white chocolate with Madagascan vanilla pods. The RRP is £1.69. The new range of delicious Magnum chocolates are perfect treats for the festive season. They are available from Selfridges and other major retailers. My 1st years have some gorgeous gifts for little ones this Christmas. Whether you are looking for cute all in ones or cosy blankets or lovely jumpers, My 1st years have something lovely for every little baby and toddler. My 1st Years also have a wonderful selection of other Christmas gifts. The Personalised Hooded Reindeer Robe is an adorable fluffy gift for a little one. The RRP is £25.00. Another great gift are the Personalised Santa Sacks. The RRP starts from £10.00. The full range of wonderful gifts can be seen at www.my1styears.com. As we all entertain family and friends over the festive period, we need the perfect wines to accompany our delicious meals. Le Lien Les Vignobles Foncalieu is a wine that is a definite must this festive season. 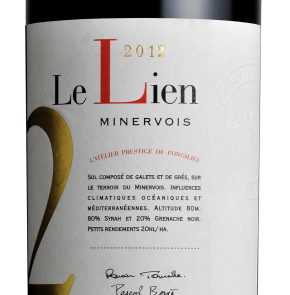 Le Lien has a deep red appearance, a bouquet with floral notes and aromas of fresh red fruit, vanilla and toast. It has a wonderful sweetness on the palate, and plenty of body with a lingering finish of roasted aromas. This gorgeous wine is a perfect match with the typical festive dishes this Christmas. The RRP is £25 and it is available from www.finewinesdirectuk.com. For coffee lovers this Christmas, Sea Island Coffee have launched its delicious new range of stellar coffee gifts. 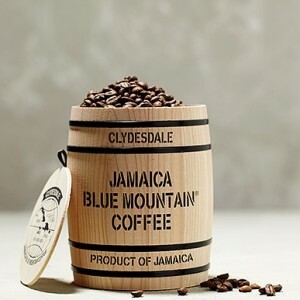 The Jamaica Blue Mountain Coffee Mini Barrel Gift Set is a fantastic gift for coffee connoisseurs. The Jamaica Blue Mountain coffee is silky smooth and well-balanced with an excellent full body, refined mild taste and sweet flavour. Jamaica Blue Mountain coffee is the only coffee still shipped in wooden barrels so this gift set uses a mini iconic barrel made from Japanese cedar to present the coffee in. The RRP is £27.00. Another fabulous gift is the Rare and Tasty gift. These are small tins with BIG taste. This ‘must have’ collection of three of the world’s most rare and unusual beans available in 50g tins are beautifully wrapped and gift boxed. With the sweet soft aroma of Wild Kopi Luwak coffee, the exquisite taste of premium Jamaica Blue Mountain coffee and the elegant purity of St Helena coffee, this set is designed to introduce coffee lovers to a taste of something exceptional. The RRP for this set is £41.00. A quirky stocking filler is the coffee KeepCup. The KeepCup is available in colourful 12oz keep cups made from both safest food grade plastic and glassware. The lightweight and stackable, KeepCup Alchemy holds 12oz and is reusable. They are made from the safest food grade plastic and is non-toxic. This coffee mug is dishwasher safe and makes a great gift for anyone who likes to brew their own coffee in the mornings. They are designed with a seal-able lid and heat safe band to ensure you can move easily while enjoying your coffee. The RRP for the KeepCup Alchemy is £10.30. To see the full range of gifts from Sea Island Coffee visit www.seaislandcoffee.com. 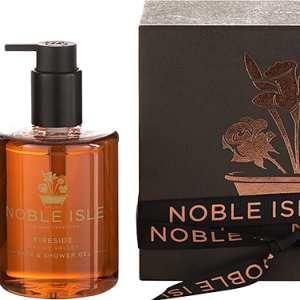 Noble Isle, a luxury bathing brand inspired by the British Isles, has some gorgeous gifts for Christmas this year. Noble Isle presents five new elegant and indulgent gift boxes which feature some of their favourite luxurious bath, body and home fragrance products. These stunning gift boxes are adorned with elegant rose gold embossing and opulent ribbons creating the perfect gift for this festive season. Presented in these stylish elegant gift boxes are a wonderful range of Noble Isle products, delivering that something extra special for a loved one this year. Included in their Christmas range is the gorgeous Fire and Spice gift set. This set includes a 250ml Fireside Bath & Shower Gel and a 250ml Whisky & Water Hand Wash. The RRP for this set is £30.00. Another wonderful set is the The Discovery Set. This includes a 75ml Fireside Bath & Shower Gel, 75ml Willow Song Bath & Shower Gel, 75ml Lightning Oak Hair & Body Wash, 75ml Summer Rising Bath & Shower Gel and 75ml Whisky & Water Bath & Shower Gel. The RRP for this set is £24.00. The Sweet Green Pleasure gift set is another gorgeous set which includes 250ml Willow Song Bath & Shower Gel and 100ml Willow Song Reed Diffuser. The RRP for this lovely set is £49.00. Noble and Isle Little Treasure set is perfect as a stocking filler. It includes 75ml Fireside Bath & Shower Gel, 75ml Willow Song Bath & Shower Gel, 30ml Whisky & Water Bath & Shower Gel and 30ml Summer Rising Bath & Shower Gel. The RRP is £15.00 so is perfect as a special little gift for a loved one. If you are looking for something extra special, the Noble Isle To The One I Love gift set is perfect. It includes 250ml Rhubarb Rhubarb! Hand Wash, 250ml Rhubarb Rhubarb! Bath & Shower Gel and 100ml Rhubarb Rhubarb! Reed Diffuser. The RRP for this wonderful gift is £65.00. These stunning gift sets from Noble Isle combine the finest fragrance and natural extracts and are a beautiful way to show a loved one how much they mean to you. The gift sets are available from Liberty, Fortnum & Mason, and Harvey Nichols. They are also available online at www.nobleisle.com. Christmas wouldn’t be the same without the magical treats from Cadbury. This year, you can still enjoy Cadbury classics such as the delicious selection boxes and the fabulous Dairy Milk Advent Calendar, but Cadbury have also launched some new extra special treats for the festive season. This year, you can add a touch of Cadbury Christmas purple to your tree, or surprise your relatives by gifting them with the new Cadbury Dairy Milk Baubles. These spectacular supersized baubles are available in two different varieties. Cadbury Dairy Milk Oreo Baubles are filled with Cadbury Dairy Milk chocolates complete with a vanilla flavour filling and Oreo biscuit pieces. Cadbury Dairy Milk Snow Bites Baubles includes 4x34g bags of Snow Bites. These delicious Cadbury Dairy Milk chocolate balls are encased in crisp sugar shells and dusted with delicious icing sugar. The RRP £4.99. 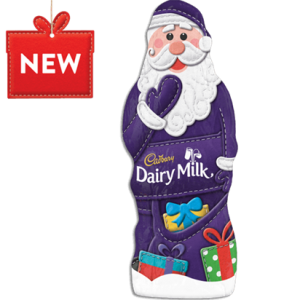 Also new to 2015 are the Cadbury Dairy Milk Hollow Santas. These fabulous hollow Santas put a quirky twist on the classic Christmas traditional icon, and are made from delicious Cadbury Dairy Milk. The RRP for 60g is £1.49 and the RRP for 130g is £2.99. Another fabulous gift from Cadbury is the Cadbury Dairy Milk Freddo Faces Novelty Gift. This delightful little frog gets a festive makeover this season. You simply pop open Freddo’s mouth, and five of the incredibly delicious cheeky Cadbury Dairy Milk Freddo faces bags will leap out. The RRP is £3.99. Blason de Bourgogne’s selection of French wines is exciting, elegant and perfect for any social event this festive season. Representing 800 wine-growing families from throughout the Burgundy region, Blason de Bourgogne brings the spirit of family tradition straight to the table during the festive season. The Blason de Bourgogne Montagny wine is both crisp and invigorating and is the perfect wine to kick off a festive dinner party. This vibrant French wine can be served as an aperitif or partnered with a smoked salmon starter. The RRP is £10.00 and it is available to buy from Sainsbury’s. 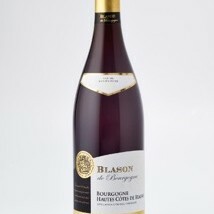 Another wonderful wine to have this Christmas is the Blason de Bourgogne Côte Chalonnaise Pinot Noir. With rich cherry flavours and redcurrant aromas, it is delicious served alongside Christmas ham. This beautiful red wine is a fabulous and sophisticated alternative to the traditional mulled wine. It is also available from Sainsbury’s and the RRP is £10.00. For something extra special this Christmas, the Blason de Bourgogne Saint-Véran is a perfect way to celebrate the festive season. Offering hints of tropical fruits and citrus flavours, this elegant white wine exudes authentic French charm. This wine is available from Sainsbury’s and Tesco and the RRP is £8.99. Bespoke Verse, an independent poetry print and bespoke verse specialist, have some beautiful gifts for children that they will absolutely adore. Bespoke Verse has a new range of wonderfully written and beautifully-illustrated personalised poetry prints for little ones, which are sure to take pride of place in their playroom or bedroom. One gorgeous gift is Lucy’s Christmas Adventure. This features Rudolph, a lost stocking, a sprinkling of fairy dust and a magical trip to the North Pole. You can personalise this wonderful rhyming festive poem so your child is the star. 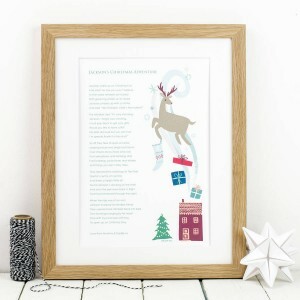 This original and wonderful poem is a unique piece of children’s wall art that will be treasured forever and is perfect for Christmas-time bedtime stories. The RRP is £24.00 for an A4 print-only with your child’s name, or £66.00 to include a solid oak frame & mount, making the total size approx A3. Another stunning gift is the Ellie and the Great Big Boo poem. This tells the tale of a bright green furry creature with incredibly long arms who swings from tree to tree, whisking your child off to lands afar on a journey of a lifetime. This is a story of friendship and adventure and will be loved by any child. The RRP is £24.00 for an A4 print-only with your child’s name, or £66.00 to include a solid oak frame & mount, making the total size approx A3. Bespoke Verse have a delightful range of personalised gifts for Christmas. To see the full range visit www.bespokeverse.co.uk. 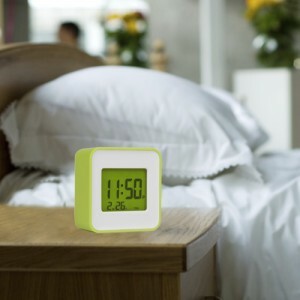 This compact smart clock is a wonderful stocking filler for Christmas. It syncs with your Smartphone to ensure that you never miss an important date or birthday again. You simply download the free ‘SyncClock’ app onto your Android or iOS device and synchronise the clock information from your phone to the Smart Clock. This versatile timepiece can store two independent alarms, a birthday reminder and a general reminder, all at the same time. It can also be synchronised with your phone calendar to keep you up to date with your schedule. This fantastic Smart Clock also features a time and date display, a night light and a snooze function. The RRP is £15.95 and it is available from www.giftZone.co.uk. Into the Blue is a website that offers fantastic experience gifts to suit all ages and all tastes. They have a wonderful range of gift experiences under £50, so you can spoil a loved one this Christmas without breaking the bank. If you are looking for a unique gift for the man in your life then the Airkix Indoor Sky Diving is perfect. This gives him the opportunity to experience skydiving of a whole new kind, with a unique Indoor Sky Diving experience. After getting suited with all the gear, and taking part in a safety briefing, he’ll enter into the wind tunnel to experience freefalling – guaranteed to make his belly turn. The RRP for this gift is £49.00. Into the Blue also have fabulous gifts for children. 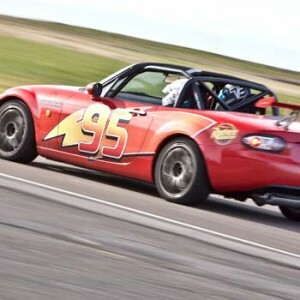 The Lightning McQueen experience gives your youngster a unique Cars driving experience for a great price of £20.00. Or your child can adopt a Meerkat. They’ll receive a photograph, certificate and 10% discount on the Meerkat magic tour. The RRP for this gift is £20.00. If you are looking for the ideal gift for a child who loves to read, DK books is definitely the place to look. DK have a wonderful range of fiction and non-fiction books that children will absolutely adore and will never want to put down. Reading is a fantastic way for children to learn and use their imagination. DK books know how important reading is and have a wide range of books to suit all children, whatever they are interested in. Cars, Trains, Ships & Planes is a comprehensive children’s encyclopaedia packed with photos of all modes of transportation, from classic cars and motorbikes to sailboats and spaceships. This book displays exciting vehicles that float, fly or speed across the land. Cars, Trains, Ships and Planes is the perfect gift for young transport enthusiasts, who are revved up and ready to read. The RRP is £16.99. Another fantastic book is Senseational Illusions that is packed with tricks, challenges and illusions that put your five senses to the test. Children can see how optical illusions trick your eyes, feel their way around tactile mazes and test their hand-eye co-ordination with a 3D ball-bearing maze. Plus children can try out lots of other tricks, experiments and illusions. The RRP is £15.99. For budding mathematicians, The Best Maths Book Ever is the perfect gift. Children can roll the dice, spin the wheel, pop, lift, pull and learn with this fun-filled, cool maths games book that covers the essential maths concepts needed in the first few years of school, from finding fractions to basic geometry. The RRP is £9.99. Picturepedia allows children to explore the wonders of history, space, the natural world and more. It is packed with over 10,000 stunning photographs and illustrations and is ideal for homework, projects or young curious minds. 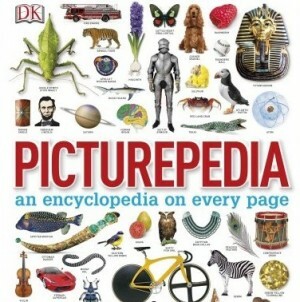 Picturepedia is a must-have encyclopaedia for kids. The RRP is £20.00. DK books have a wide range of amazing children’s books that any child would love to receive this Christmas. To see the full range of children and adult books visit www.dk.com/uk. Christmas is the perfect time of the year to spend time playing fun, exciting games with friends and family. Rascals have a fantastic selection of games that everyone in the family will love playing. If you are a fan of the TV Programme, All Star Mr & Mrs, you will love the Mr & Mrs games as they are based on this show. Players are challenged to answer in-depth and entertaining questions about their partner, friends or family members. The Mr & Mrs Family Edition contains questions suitable for adult couples, families and even boys and girls from the age of 10. There are over 1,000 new questions designed to uncover things you may not know about your nearest and dearest. 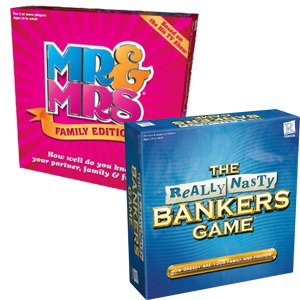 Mr & Mrs Family Edition is a great way for players to spend time together. There is also a new Mr and Mrs Pocket Edition that, like the Family Edition, is suitable for ages 10+. The Pocket Edition allows fans to play whilst on the move. It has over 300 questions and is guaranteed to cause laughter, blushes and blank looks. The RRP is £30.00 and is available from Debenhams, John Lewis, WHSmith, www.amazon.co.uk, Next and House of Fraser. Another fantastic game from Rascals is The Really Nasty Bankers Game. This game brings out the values of double-crossing, scheming, bluffing and greed. When you play the game, you just sit there like a picture of innocence knowing you’ve gambled too much of the bank’s money and hope that nobody has the nerve to challenge you. You can feel exactly what it’s like to squander away billions and earn yourself a big fat bonus along the way. This game is for 2 to 6 players or teams and for ages 12 to adult. The RRP is £19.99 and is available from Debenhams, WHSmith, www.amazon.co.uk. Choc on Choc have some lovely chocolate treats for the festive season that anyone would love to receive this Christmas. 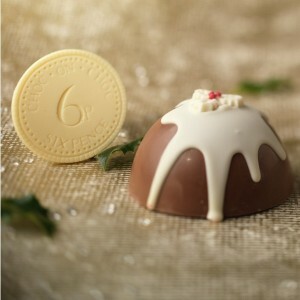 The Christmas Pudding with Giant Sixpence is a delightful gift this Christmas. It is handmade from the finest Belgian milk and white chocolate and this decadent hollow Christmas pudding is the perfect stocking filler for your little chocoholics, or for those fussy eaters who’d rather not have the real thing. It even comes complete with a giant white chocolate sixpence. The RRP for this wonderful treat is £8.99. Another fabulous gift is the box of Chocolate Reindeers. These little Ruldolphs will get anyone in the Christmas mood. They are handmade from white and dark Belgian chocolate and taste delicious. They are the perfect gift to poke out of a Christmas stocking or would make a great Secret Santa gift. The RRP for this box is £7.99. If you are looking for something a little bit different then the Large Chocolate Igloo is ideal. This chocolate igloo with a penguin peeping out is handmade from white Belgian chocolate and tastes divine. The igloo is hollow and to add to the cuteness, a whole family of 8 penguins are nestled inside, just waiting to be found. This chocolate igloo would make a lovely stocking gift or a treat for under the tree. The RRP is £8.99. Choc on Choc have some gorgeous treats for Christmas that both children and adults will adore. To see the full range visit www.choconchoc.co.uk. If you are looking for a little bit of luxury this Christmas, Pantherella’s cashmere socks are definitely worth a look. Pantherella specialise in fine English socks and their Tabitha cashmere socks are a wonderful gift for a loved one this Christmas. These stunning cashmere socks are made from the finest yarns and are hand finished for the premium quality finish. They are wonderfully soft and anyone will love the feel of this beautiful cashmere on their skin. These socks are available in 7 colours; black, lilac, light grey, pink, mink melange, sky blue and hot pink. They can also be personalised with monogramming in either silver or pale pink. You can select up to 7 characters, including full stops, ampersands, mid points and spaces for the monogramming. Pantherella’s cashmere socks are perfect for the cold winter months as your feet will be kept lovely and cosy. This is the ideal gift for a loved one at Christmas and they are available in one size: UK 4-7. The RRP for these fabulous socks is £40.00. To see Pantherella’s full range visit www.pantherella.com. The much loved brand, Sylvanian Families have some lovely gifts for children this Christmas. Children can use their imagination to make these families come alive and learn to care and share with one another. Sylvanian Families have some lovely stocking fillers that children will absolutely adore. The New Polar Bear Family is a cute family of mum, dad and two children. The characters have their own characteristics which helps children use their imaginations when playing. The mum, Barbara loves cooking. Her delicious meals make everyone in the family very happy. She is fond of strawberry ice cream and eats it with her baby Beth, even during winter when it is warm and cosy inside. The dad, Peter loves the Ocean and always tells stories about faraway seas. He also studies about the sea enthusiastically. He loves to wear his favourite scarf that his daughter Julia knitted to keep him warm. One daughter, Julia is a gentle girl who loves knitting. She knits beautiful sweaters, gloves, and scarves for her friends and family. Her thoughtful presents make everybody feel warm both inside and outside. The other daughter Beth, loves ice cream. Her dream is to become an ice cream shop owner. She treasures the vanilla white scarf her sister Julia knitted for her. Each of these wonderful figures has moveable arms and legs and is dressed in a gorgeous little outfit. The RRP for this lovely family is £16.99. Sylvanian Families also have some fantastic larger gifts for that extra special present for a little one. The new Seaside Cruiser Houseboat is a beautiful blue boat that doubles as a floating house, and has a pool and waterslide. This fabulous boat includes lots of different furniture and accessories including two beds, a kitchen, and a dining space. It is both compact and practical; the beds magically transform into a shower booth! 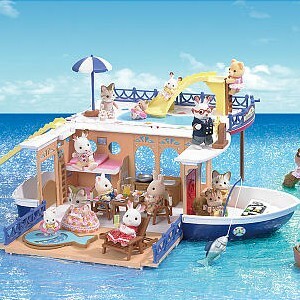 This set also includes a mini boat for the Sylvanians and the side of the boat folds down to create more space. Children will love playing with this brilliant houseboat and it will allow them to develop their creative and imaginative play. The RRP for the Seaside Cruiser Houseboat is £59.99. The whole Sylvanian Families range is available from sylvanianfamilies.co.uk. Shock Absorber is a fantastic sports bra brand which is a perfect gift for any woman who enjoys exercising and staying active. The Shock Absorber range offers scientifically proven support and the sports bras are stylish, comfortable and of a high quality. Shock Absorber sports bras are divided into three categories; low impact, medium impact and high impact. As we all know, the amount of bra support needed depends on the intensity of the sport being carried out. Shock Absorber fully understand this and have created sports bras to suit every intensity. The Active Multi Sports Support is recommended for cycling, aerobics, horse riding, hockey, netball, squash, tennis, dance and triathlon. This bra has some great features including that it is moisture wicking, breathable and made from high performance fabrics, it is fully back opening, has adjustable straps, is non-wired and non-padded. This sports bra is very comfortable to wear and is a brilliant supportive bra to wear whilst exercising. This bra is available in a stylish multi print design and is available in sizes 32-38 B, C/30-40 D-HH. The RRP is £33.00. If you know a woman who loves yoga or floor work, then the Active Zipped Plunge sports bra is ideal. This bra is for low impact exercise and is available in sizes 32-38 B-F. The RRP is £26.00. For anyone who loves running, then the Ultimate Run Bra is the perfect gift. The RRP is £40.00. Whatever the sport or exercise the woman in your life does, Shock Absorber will have the perfect sports bra for her. 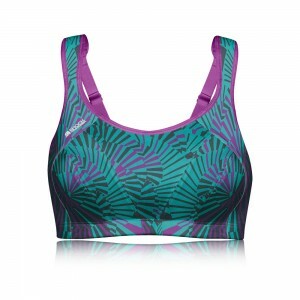 The Shock Absorber bras are available from Debenhams, www.asos.com, next, www.wiggle.com. Gillette giftsets are great for Christmas as they are practical gifts that men would love to receive. Included in Gillette’s fantastic range is the Gillette Flexball Spectre giftset. 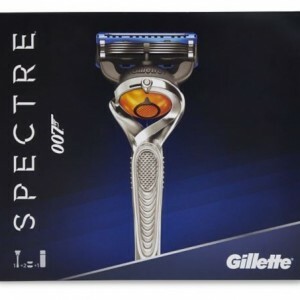 This is perfect for James Bond fans and has everything you would need for an outstanding shave. The FlexBall manual razor responds to the contours of a man’s face and gives noticeably smooth skin in a single stroke. This fabulous set also comes with 2 ProGlide razor blades, which are designed with a close and comfortable shave in mind. The ProGlide shave gel also helps men shave with unprecedented precision so that they can be specific with their styling. The RRP for the Gillette Flexball Spectre Giftset is £19.00. Another great gift is the Gillette Flexball Grooming Set. This includes Gillette’s Fusion ProGlide Men’s Razor with Flexball technology, 2 additional blade refill cartridges, Gillette ProGlide Sensitive Active Shave Gel, and grooming station for a complete shaving experience. The grooming station allows for easy storage and added convenience. The RRP is £26.49. The Gillette gift sets are practical yet fantastic gifts that any man will appreciate. They are available from www.boots.com, Tesco and other major retailers. 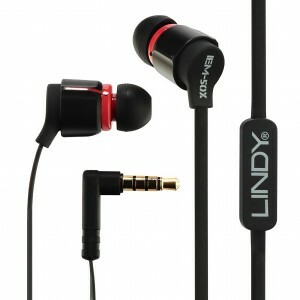 The Lindy IEM-50X in-ear headphones would make a wonderful gift this Christmas. These discreet headphones offer high quality sound reproduction and a fantastic Dynamic Bass Tuning Control. This control is on each bud and opens the rear chamber to add more depth to the bass. This means users can manually adjust their listening experience according to their own personal preferences. Another great feature is that these headphones include 6 pairs of Super Soft Ear Tips, for added comfort and that allows for the perfect fit. A comfortable fit allows users to enjoy wearing the IEM-50X, but also helps to barrier external noise and lets them experience the best sonic performance. Included with the IEM-50X Earphones is a carry pouch, S/M/L super soft dome ended ear tips (Black), S/M/L super soft flat ended ear tips (Transparent Black) and a User guide. Asda have a lovely range of gifts for Christmas this year. Whether you are looking for stocking fillers, gifts for children or special gifts for a loved one, Asda has a wide range of gifts to suit all needs and tastes. Ideal stocking fillers are Adsa’s NSPA range. This range includes lovely shower gels, body mists, body butters, body scrubs and face washes. You can use the body mists to spray some sweetness into your life with these indulgently scented Body Miss. They are packed with natural vitamins and real fruit goodness to give a deliciously rich burst of fragrance every day. The body scrubs and shower gels refresh the body with wonderful fragrances and make your skin feel beautifullysoft. The range of NSPA products are brilliant stocking fillers and prices start from a s little as £1. Asda also have a fantastic range of children’s gifts. One great gift, exclusive to Asda is the Avengers Walkie Talkie twin set. This is the perfect gift for Avengers fans and children will enjoy spending hours of fun talking to each other, either out and about or in the home. 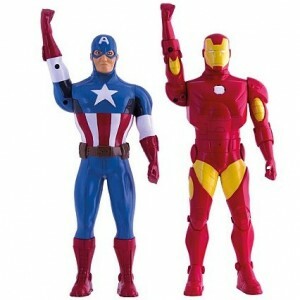 These great walkie talkies are designed to look like the legendary Iron Man and Captain America. The RRP is £30.00 and they are available from Asda. They are currently on offer for £15.00. Asda also have a fabulous range of Christmas home gifts. Their seasonal blankets and throws are wonderfully soft and will keep you cosy during the cold winter nights. The RRP is £6.00. To see the full range of Asda gifts visit www.asda.com and george.com. If you are looking for fabulous chocolate stocking fillers Terry’s Chocolate Orange Bauble is a wonderful festive addition. 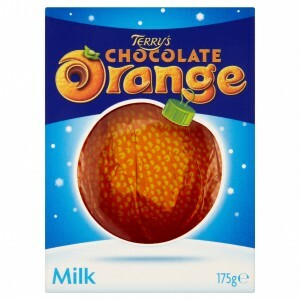 You can delight yourself and your loved ones with an indulgent Terry’s Chocolate Orange. For a limited time only the chocolate orange is dressed as a festive bauble, adding a twinkle to the much-loved delicious chocolate classic. The RRP for this limited Christmas design is £3.65. Another fantastic stocking filler this Christmas is the limited edition Toblerone. The much-loved treat has had a makeover in time for festive season. The same delicious Swiss chocolate and honey almond nougat, is wrapped in a wonderful festive wrapping making it the perfect seasonal treat and gift for your loved ones. There is a Toblerone to suit everyone’s tastes with four different flavours, Milk, Dark, White and Fruit & Nut. The RRP is £4.99 and they are available in major retailers. Sock Shop have some lovely and practical gifts for Christmas this year. 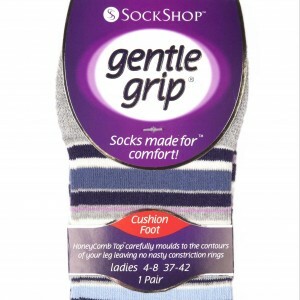 The Gentle Grip range of socks are great for stocking fillers as they are extremely comfortable as they have a specially designed HoneyComb Top, make them more comfortable for all wearers, especially for those who struggle with circulatory problems or swollen legs, ankles and feet. This gorgeous collection of striped socks are made from soft, cotton rich yarn and are constructed to care for your legs, comfortably moulding to their natural contours without leaving any of those ugly, irritating and itchy constriction rings. These socks are made from 85% Cotton 12% Polyester 2% Polyamide 1% Elastane and are machine washable at 40°. The RRP for one pair is £3.50. Another great range of socks is the Beautyfeet Heel Pad range. This range is an easy way to care for and combat against hard, dry, rough heels. These socks have unique, integrated nourishing pads containing a secret, patented formula containing advanced moisturising ingredients, a Chinese herbal recipe, and Nano-Silver, an antibacterial particle technology. After wearing these socks for just one day, you can see the nourishing benefits of them. The socks are made from 78% Cotton 20% Polyester 2% Elastane and are machine washable at 30°. The RRP is £8.00. Sock Shop have a wonderful range of socks that would make great stocking fillers. To see the full range visit www.sockshop.co.uk. Personalised gifts at Christmas are a wonderful, thoughtful way of showing a loved one how much they mean to you. Snapfish have some lovely personalised gifts that would make perfect Christmas gifts this festive season. 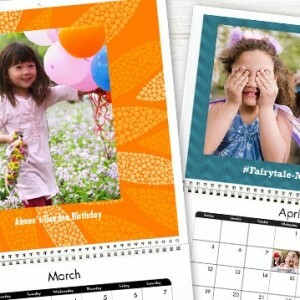 Snapfish’s personalised photo calendars are a lovely way to enjoy your photos 365 days of the year. There are four different types of calendars that you can choose from; wall calendars, poster calendars, desk calendars and kitchen calendars. The wall calendars are available in three sizes, 11” x 8.5”, 14” x 11.5” and 12” x 12 “. These calendars are also available in 42 different styles so you can choose the perfect style for the recipient. You can also customise certain dates adding photos and captions for birthdays, anniversaries and special events. The RRP for these fabulous calendars start from £14.99. Snapfish’s kitchen calendars are just as stunning. These can feature one photo for each month and come in a lovely compact size; 5” x 11.5”. This size is great for kitchens, children’s rooms and work spaces and the calendars are available in nine styles. The RRP is £9.99. Another compact calendar that is perfect for the home and office is the desk calendar. This calendar is available in 18 different styles and is available in size 10” x 5”. The RRP for this calendar is £10.99. The last calendar type available is the poster calendar. This calendar looks fabulous on the wall as it has a collage design. This calendar is available in 4 different sizes; 15” x 10”, 18” x 12”, 30” x 20” and 40” x 30”. The RRP starts from £4.99. Snapfish has a wide range of calendars that will suit any home décor and style. To see the full range of gifts, visit www.snapfish.co.uk. The much loved toy brand, LEGO have some wonderful gifts for children this Christmas. LEGO have sets perfect for both girls and boys and for children of all ages. They also have sets to suit all budgets so you will definitely find the perfect gift this festive season. 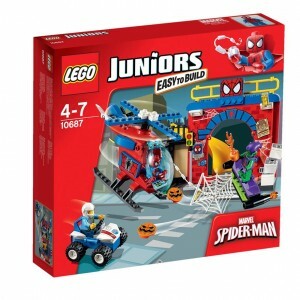 The LEGO Juniors Spider-Man Hideout set is perfect for young ones who are superhero fans. They can help Spider-Man defend his hideout from the evil Green Goblin by putting together the Easy to Build hideout and then the brilliant Spider-Man helicopter. Spider-Man can also use his web thrower to stop the Green Goblin. This LEGO Juniors set is fantastic for younger fans of LEGO as it is designed for an easy start with the famous LEGO bricks. The set includes easy instructions and quick start elements to get the play started sooner. This set also contains 3 minifigures; Spider-Man, Green Goblin and a police officer that children will love playing with. This set is suitable for children ages 4-7. The RRP is £29.99. 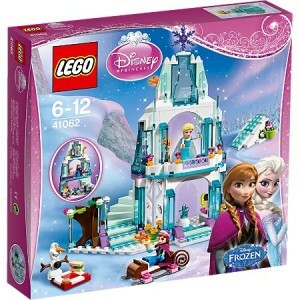 Another fabulous LEGO set is Elsa’s Sparkling Ice Castle. Anyone who loves the film ‘Frozen’ will adore this LEGO set. Children can help Olaf and Princess Anna have a cool adventure in Queen Elsa’s magical Ice Castle. After spending a wonderful time building the magical castle, children can use the three included minifigures (Queen Elsa, Princess Anna and Olaf) to play with the castle and all the wonderful accessories. Accessories that are included are an icicle tree, sleigh, secret staircase, ice cream bar, bed and ice hill. This set is suitable for children ages 6-12. The RRP is £34.99. LEGO have a fabulous range of gifts for Christmas that children will absolutely adore. To see the full range visit www.lego.com/en-gb. Photos gifts are gifts everyone loves to receive, as not only are they thoughtful but they are personalised to the recipient. Photobox have a gorgeous range of photo gifts that will make perfect Christmas gifts and can be enjoyed the whole year round. Photobox canvases are high quality and are ideal gifts this festive season. There are three different types of canvases to choose from; new Retro Canvas, Canvas Prints and Collage Canvas. The Retro Canvas is available in three sizes and photos are printed on canvas with a 1.8cm thick frame. The RRP starts from £10.00. The Collage Canvas is a wonderful gift to showcase a number of photos on the one canvas. You can add an unlimited amount of images and add different colours and text if you wish. These canvas prints are available in three thicknesses; Lite (1.8cm), Classic (3.8cm) and Premium (4.7cm) and are available in 17 different sizes. Photobox also has stunning Canvas Prints that allow you to choose your favourite photo and display it for everyone to see and enjoy. Like the Collage Canvas, these canvas prints are available in three thicknesses so you can choose the best thickness for your home and for whoever will receive it. They are also available in 17 different sizes allowing you to display your wonderful photos on small, medium or large walls. Wherever you wish to place your canvas, you will be able to find the right size for you and your home. The RRP starts from £7.00. Photobox canvas gifts are a wonderful way to show how much a loved one means to you. They are also a gift that can be enjoyed throughout the whole year and not just over the festive period. To see the full range of photo gifts and canvases visit www.photobox.co.uk. A perfect gift for anyone who likes their nails looking stunning and gorgeous is a Nailed London gift set. There are two fabulous nail gift sets available; Classic and Instant Glamour. The Classics Collection includes a base coat, top coat glossy, a Dirty Blonde colour and a Thigh High Club colour. This set makes nails look wonderfully manicured and shiny and is the perfect ‘everyday’ style. The Instant Glamour Collection includes Knight Rider, Rosie’s red and London Conundrum. These colours give nails a glamorous look and are the perfect nail polish to wear to all your festive parties. The Nailed London nail polishes have a revolutionary 3-step system that has been developed to most closely match the look, feel, wear and gloss of a professional gel polish. This unique gel system has been developed using innovative technology to create a long wearing, self-cured manicure with unbeatable colour. These fabulous gift sets will be adored by anyone who takes care of their nails and are the perfect Christmas gift. The RRP for the Classic Collection is £24.00 and the RRP for the Instant Glamour Collection is £19.00. Both fabulous sets are available from Harvey Nichols nationwide and feelunique.com. Avon have some gorgeous Christmas gifts for women, men, children and the home. With such a wide range of gifts including make-up, jewellery, clothes and candles, you will definitely find the perfect gift for friends and family. Avon have a stunning range of make-up that any woman will love to receive. The medium make-up palette is a wonderful handbag sized palette that includes 15 eyeshadows, 4 lip glosses, 2 blushers, a blusher brush, an eyeshadow applicator and a lip brush range of eyeshadows. The RRP for this palette is £12.00. Another fabulous make-up gift set is the Eyeliner Wardrobe. This wonderful set includes a True Black Kohl eyeliner, a Mega Effects Black Liquid Eyeliner and a Blackest Black Glimmerstick Eyeliner. These three different eyeliners can either create an intense black line for a high impact look, perfect for parties, or can beautifully define your eyes. The RRP for this set is £10. Avon also have some wonderful gifts for the home. The Winter’s Night Multiwick Candle will fill your home with scents of tonka bean, chia spices and creamy nuances this Christmas. This gorgeous candle is packaged in a beautiful purple glass jar and will look stunning in any home this Christmas. The RRP is £14.00. To see the full range of wonderful Avon gifts, visit avonshop.co.uk. Family and friends will be delighted to receive Lindt’s Christmas range of chocolates this festive season. The Lindt Festive Figures collection are crafted to perfection and are the perfect little treat. The Classic Lindt Teddy is a symbol of love, care and affection, inspired by the classic teddy bears of the Lindt Master Chocolatiers’ childhood. The Lindt Santa will get anyone into the Christmas spirit and is a must-have this season. The RRP for the festive figures start from £2.99 for 100g. In addition to the delightful figures, the Lindt Mini Gold Reindeer and Fluffy Antlers are the ideal stocking filler gift. These will entertain both children and adults alike and will provide loved ones with the perfect festive headwear. The RRP is £5.99. Lindt also have some new chocolate gifts this year. 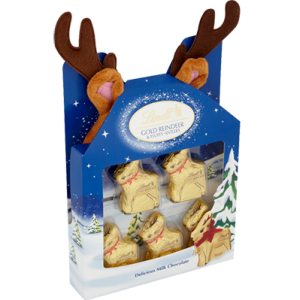 The Lindt Gold Reindeer & Treats is a great gift for both family and friends. It includes a 100g reindeer and two 13.5g carrots. The RRP is £5.00. The Santa’s Little Helpers pack is also a fabulous gift. These super cute festive figures are the ideal treat for little ones in the run-up to Christmas, or as a gift in their stocking. The RRP is £2.59. 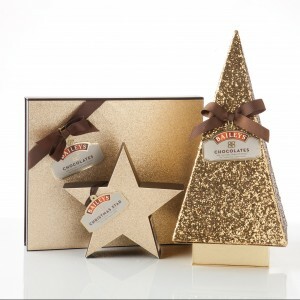 Lindt have some wonderful chocolate gifts for Christmas that anyone will absolutely love to receive. To see the full range visit www.lindt.co.uk. Available nationwide at leading retailers. Dark Horse wine is a premium Californian wine that is perfect for the festive season. The wine is both bold in flavour and has a stylish contemporary design. 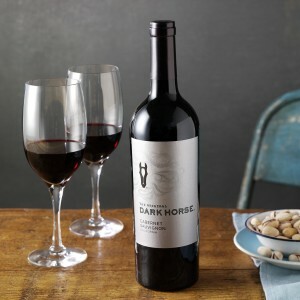 The Dark Horse Cabernet Sauvignon heroes dark, earthy flavours of blackberry, black cherry and a hint of nutmeg. It is a full-bodied, rich wine that delivers a dry, smooth texture that also leaves a taste of dark chocolate espresso. The silky, deep flavour of the wine will be adored by lovers of red wine and is the perfect accompaniment during the festive season. The RRP for this wonderful wine is £8.99. In contrast to the Cabernet Sauvignon, the Dark Horse Chardonnay offers bright, sweet aromas of baked apples and peaches, layered with buttery notes of toasted oak and caramel. Its rich, creamy essence is perfectly complemented by a refreshing crisp acidity. The RRP for this wine is £8.99. Dark Horse wines are perfect to enjoy over the festive period and are a wonderful addition to any Christmas meal. The Edinburgh Woollen Mill have some lovely Christmas gifts for both men and women. They have a wonderful range of clothing, accessories and footwear that are designed for a comfortable, relaxed lifestyle. One range of fantastic gifts are their gorgeous slippers that will keep anyone warm and cosy during the winter months. One beautiful range of slippers is from the Country Rose brand. This gorgeous range is inspired by the great outdoors and is an ultra-feminine line that proves practical doesn’t have to mean boring. This range of slippers includes mules, slippers and booties. The mules and slippers are designed in a dark blue and a dark blue tartan and the booties are designed in a wonderful deep red, which is perfect for the Christmas season. The booties also have a soft, cream lining and can be wiped clean. They are extremely soft and anyone will love to receive them this Christmas. The RRP for the booties is £18.00. 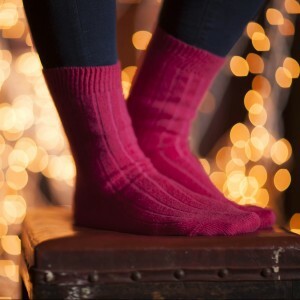 Country Rose also have a wonderful range of cosy socks that are perfect for the winter season. These socks are delightfully soft and will keep feet warm and cosy all day long. They have a very pretty design on them and are available in size 4-7. The RRP for these fabulous socks is £6.00. The Edinburgh Woollen Mill have a wonderful range of Christmas gifts. To see the full range visit www.ewm.co.uk. WhiteWall have some lovely personalised photo gifts for Christmas that anyone who receives them will absolutely adore. One wonderful gift from WhiteWall are their acrylic blocks. These are very modern and will showcase a favourite photo beautifully. 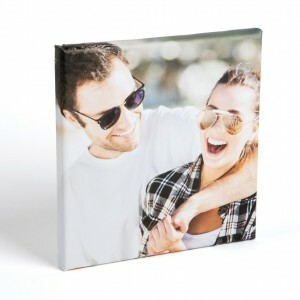 The acrylic blocks are extraordinarily thick and give any photo a very special presence. They can be in both a portrait or a landscape format and can stably stand by themselves. One great feature of this acrylic block is that the acrylic glass does not detract from the photo. Every detail is crystal clear and the colours seem brighter. The back of the block is also white that helps protect your print. No light can pass through to it from the back, meaning the block will not create an unwanted slideshow. Even though the back is white it still looks reserved and elegant, so you can place the acrylic block anywhere you would like. The WhiteWall acrylic blocks are available in 5 sizes so you can choose the right size for the recipient. 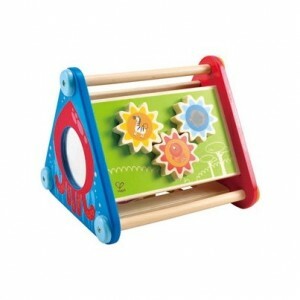 The RRP for these fabulous blocks start from £14.90. The perfect gift for anyone who loses their keys or their handbag is this fabulous Gigaset G-tag. This wonderful little device will help family and friends keep track of their valuables. Using Bluetooth technology, this clever device can track down important items such as keys, handbags or even your car! It does this by electronically syncing to a simple smartphone app. The G-tag also alerts you if you have left somewhere without your items that are tagged. If the device moves more than a pre-set distance, you will receive notification on your phone to help find the missing possessions within 10m. 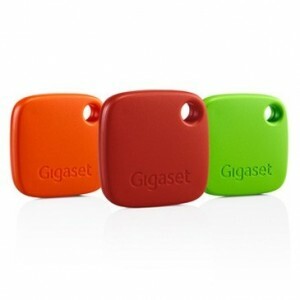 The Gigaset G-tag is available in black, white, orange, red and green. The RRP is £17.50 and it is available from www.amazon.co.uk. This festive season why not treat friends and family to the wonderful taste of Harveys Sherry. 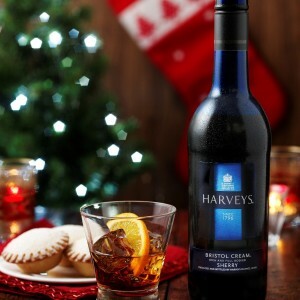 Harveys sherries have a wonderful taste and sherry lovers will adore receiving a bottle of Harveys this Christmas. Harveys vineyards are situated in southern Spain where the local winegrowers cultivate a selection of grapes. The grapes are blended to create different styles of Harveys sherries and these are then aged in a traditional solera system, giving them a rich and silky smooth flavour. One lovely sherry from Harveys is Harveys Bristol Cream. This is a delicious sherry that is a deep golden colour with fragrant aromas of candid orange, dried fruit and toasted almonds. Harveys Bristol Cream is best served chilled and can be enjoyed on the rocks or with lemonade and seasonal fruits. After opening a bottle of Harveys Bristol Cream you need to refrigerate it and consume it within four to six weeks- if it lasts that long! Harveys Bristol Cream is available nationwide and the RRP is £9.41 for 75cl. To see the full range of Harveys sherries visit www.harveyshalfhour.co.uk. Spoil a loved one this Christmas with a stunning gift from David Deyong. David Deyong designs exquisite silver jewellery that anyone will absolutely adore. David Deyong’s Diamondust collection is a wonderful fusion of creativity and passion that combines Sterling Silver with Swarvoski Zirconia. This pure brilliance Swarvoski Zirconia is an extremely diamond-like zirconia and will be loved by anyone who receives one of these fabulous pieces. 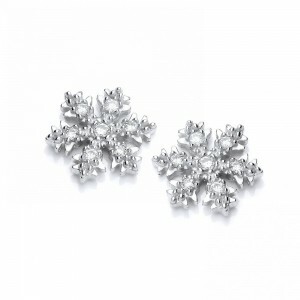 Perfect for the festive season, are the gorgeous snowflake designs. These sparkling snowflakes are available in a pretty pendant necklace, gorgeous drop earrings and stylish stud earrings. This snowflake design will add a bit of Christmas sparkle to any outfit this festive season and are a perfect present, or a little treat to finish off that party look. The RRP for the earrings is £39.99 and the RRP for the earrings is £49.99. To see the full range of fabulous David Deyong jewellery visit www.daviddeyong.co.uk. Carlton Publishing Group have a fantastic range of books for both adults and children that will make excellent gifts this Christmas. The selection of children’s books is amazing and you will definitely be able to find a gift for any child who adores books and reading. As their range of books is so vast, you will be able to choose a book that is best suited to every child’s likes and interests. Carlton Books have a wonderful range of Mensa training books that children will love trying to complete. The Mensa Brain-Scrambling Challenges book is a brilliant 96 paged book full of number puzzles, visual teasers and verbal tests to train children’s brains in different areas of cognition. Children will absolutely love completing these challenges. The RRP is £4.99. Perfect for Mr Bean fans are Carlton Books’ Mr Bean range. These books will be adored by any Mr Bean fan. The Mr Bean’s Disastrous Do-It-Yourself Doodle Book is the perfect way to encourage creativity. Children can doodle, draw and colour Mr Bean and his companions in this hilarious official doodle book. The RRP is £5.99. Carlton Books also have a wonderful range of Augmented Reality books. These books are available in some of children’s favourite characters including Monsters Inc., Disney Princesses and Disney Cars. 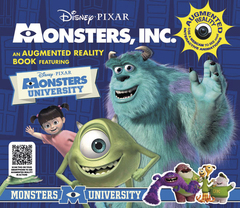 The Monsters Inc. book brings all children’s favourite furry friends to life with jaw-dropping animations that they can interact with on their computer screen. Children can see what they look like as a monster, make friends with Mike and see him do funny tricks. The RRP is £9.99. Carlton Books also have a wonderful range of adult books that will make perfect gifts this Christmas. 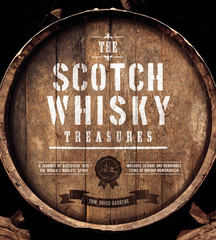 The Scotch Whisky Treasures book is a fabulous gift for whisky lovers. This beautifully produced volume describes not only about the history of whisky distillation but also acts as a guide on tours of the main whisky regions, including the Western Isles, Speyside, Highlands, and Lowlands. The RRP is £39.95. To see the full range of fantastic books visit www.carltonbooks.co.uk. This Christmas, if you are looking for gifts for children that they will love and that will keep them entertained IDO 3D and Wild Science have some great gifts. IDO 3D takes art to the next level and brings children’s creations to life. Children can draw in 3D and create amazing multi-colour 3D masterpieces. Children draw, set and connect using the spotlight light that is included. They can use the 3D templates and accessories to help them design like a professional or they can simple let their imagination run free. There are 4 sets available. The Starter set includes one pen and can make up to 5 designs. 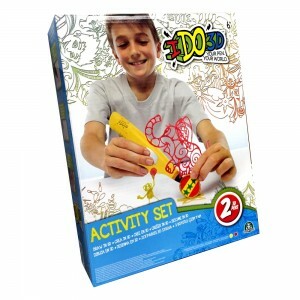 The IDO3D Activity set includes two pens and can also create up to 5 designs. The IDO3D Design Studio includes 4 pens and children can create 20 unique designs. The biggest set is the IDO3D Deluxe Design set that includes 8 pens and children can create 40 unique designs. These 4 fantastic sets mean you can choose the ideal gift for a young one. IDO3D is suitable for children aged 6+. The RRP for these fabulous sets start from £8.99. Wild Science also have some wonderful gifts for children. They are a great way to keep science fans entertained, or to encourage children to learn about science. The Wild Science kits are designed to have great play value while exploring important scientific concepts and skills. 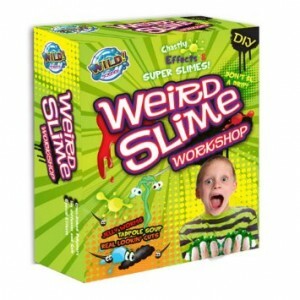 One fabulous gift from Wild Science is the Weird Slime Workshop. Through the magic of chemistry children can create jelly worms, tadpole soup and real looking guts. This science kit is suitable for children aged 8+ and the RRP is £12.99. The CBeebies top rated show, Twirlywoos is a pre-school comedy series that is adored by little ones. There is a wonderful range of Twirlywoos toys available that fans of the show will absolutely love receiving this Christmas. 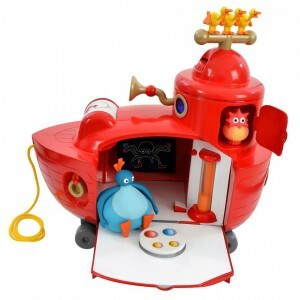 The Twirlywoos Big Red Activity Boat is a delightful activity toy that has been cleverly designed to combine developmental learning with imaginative play. It features sounds, songs, flashing lights and plenty of activities that will keep little ones thoroughly entertained. The boat includes Great BigHoo and Peekaboo figurines and the side opens to reveal additional play features. There are plenty of learning elements within the Big Red Boat that reflect the educational content of the fabulous show and that provide children with reinforcement through simple word learning. Little ones will love playing with this wonderful toy and is an ideal Christmas gift. The RRP is £49.99. There is also a fabulous range of other Twirlywoo toys available including the adorable Twirlytop Toodloo, a Talking Great BigHoo and a range of puzzles, books and DVDs. These are available at all good major retailers.